Press splitters are used to avoid the unsightly clutter that results at events such as press conferences, when every broadcasting organisation present tries to erect a microphone directly in front of the speaker, precisely where the cameramen would rather they did not. 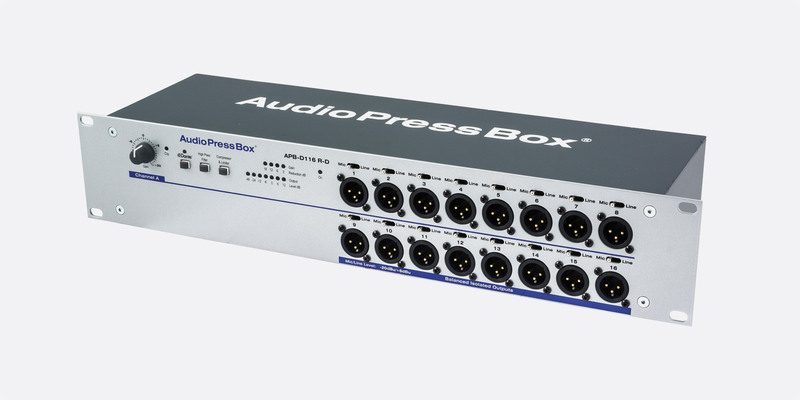 The splitter takes a small number of inputs from microphones or the local mixer and distributes the signal to a large number of outputs for use by the media. 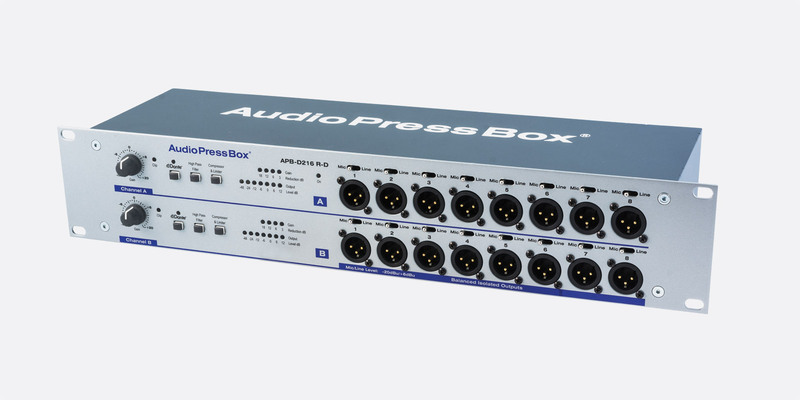 AudioPressBox offer a comprehensive range of active and passive types in stage box, floor-box, desktop, rack and wall mounting formats as well as portable, cased, splitters and kits. 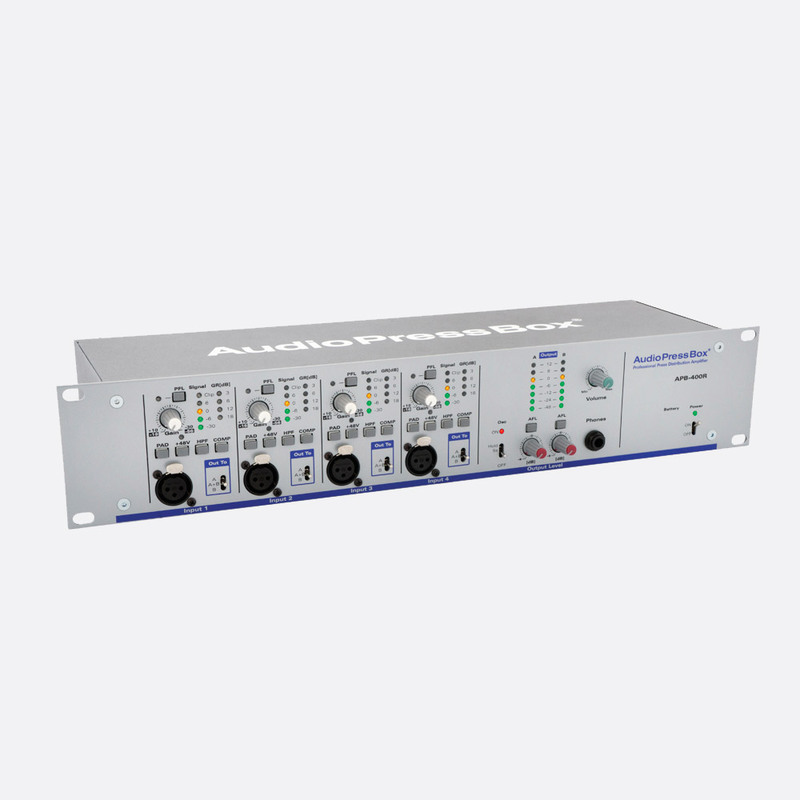 For a very limited number of broadcasters and journalists it may be possible to provide a set of outputs using multiple microphone splitters. However, this technique quickly increases the load on a microphone to the point where the signal quality is affected. 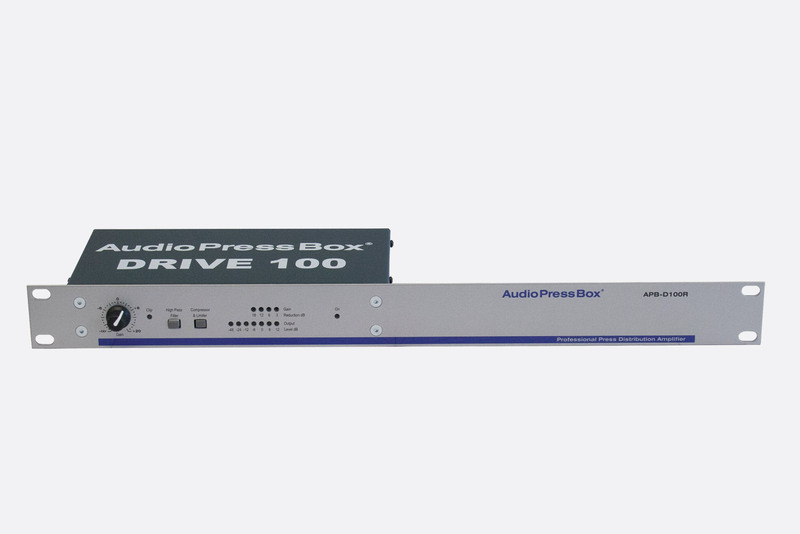 A dedicated conference splitter will reduce clutter, be more reliable and prevent inter-action between the connections made by the different members of the media. 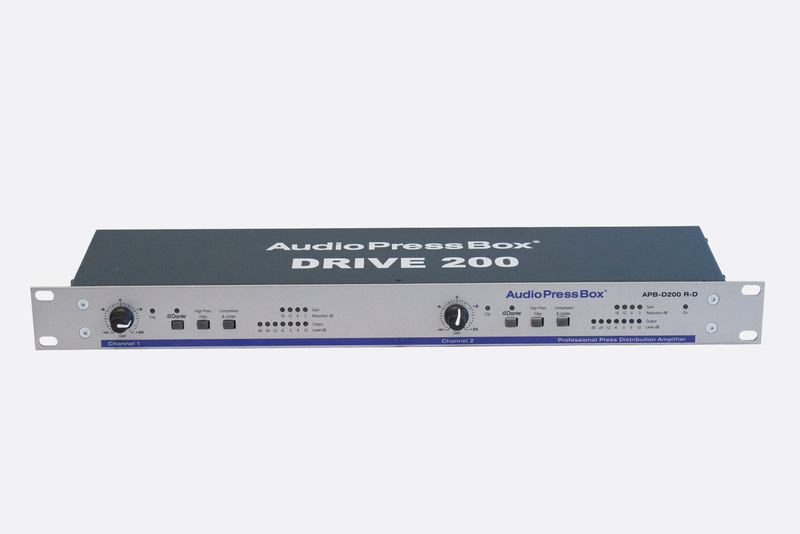 Alternative terms for press splitter include 'conference splitter', 'presidential bridge', 'press box', 'multi box' and 'press distribution amplifier'. Drive units are amplifiers which drive a number of transformer-isolated outputs. They have no individual outputs, and are meant to drive one or several Expanders. Microphone input: Female, 3-pin, XLR input. Microphone/line inputs: Female, 3-pin, XLR input, with adjacent microphone/line level switching. Phantom power, 48V: Switch and indicator. Channel level meter: LED bargraph. High pass filter: Switch to enable 160Hz high-pass filter. Compressor/limiter: Switch and bargraph to show gain-reduction. PFL: Buttons to allow the user to listen to the channel signal using the headphones. AFL: Buttons to allow the user to listen to the output signal using the headphones. Headphones: 6.35mm stereo jack socket with associated rotary volume control. Oscillator: Constant level test signal oscillator with 'no mistake' switch operation. Output level meter: LED bargraph. Battery facilities: Internal re-chargeable battery, indicators to show the state of charge, 'battery' and 'power' LEDs'. Rack-mounting drive units of 1U types have controls are on the front, and connections on the rear. 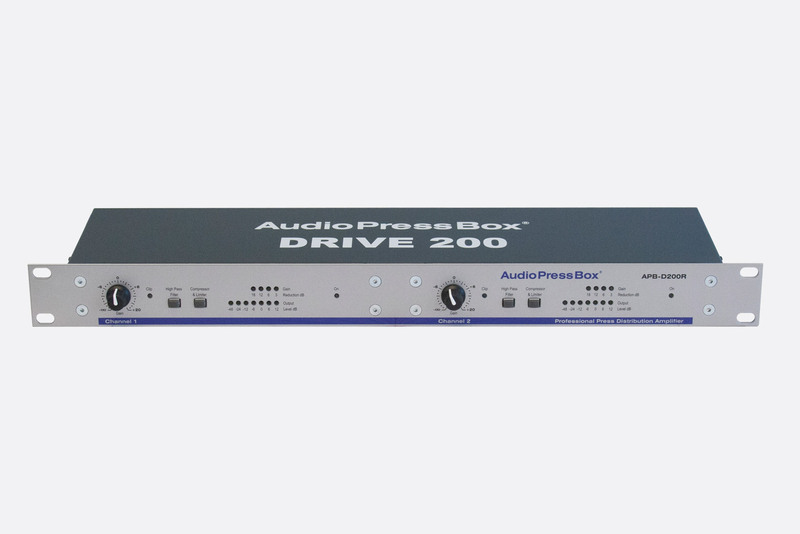 These active drive units operate in much the same way as the above mentioned drive units, however in addition they have the capability to use Dante audio signals on RJ45 connection as an input source. On these models, the user can switch between line or Dante input, depending on their needs. APB-Dante products are PoE enabled whereby the power required (less than 2W for PoE) can be provided through the Ethernet cable from a PoE-capable network switch or compatible equipment. The RC 3.5 -1 cable is intended for use between the mic or mic/line outputs of the splitters and expander units and recording equipment with 3.5mm jack inputs, microphone or line level, regardless of the stereo or mono configuration. 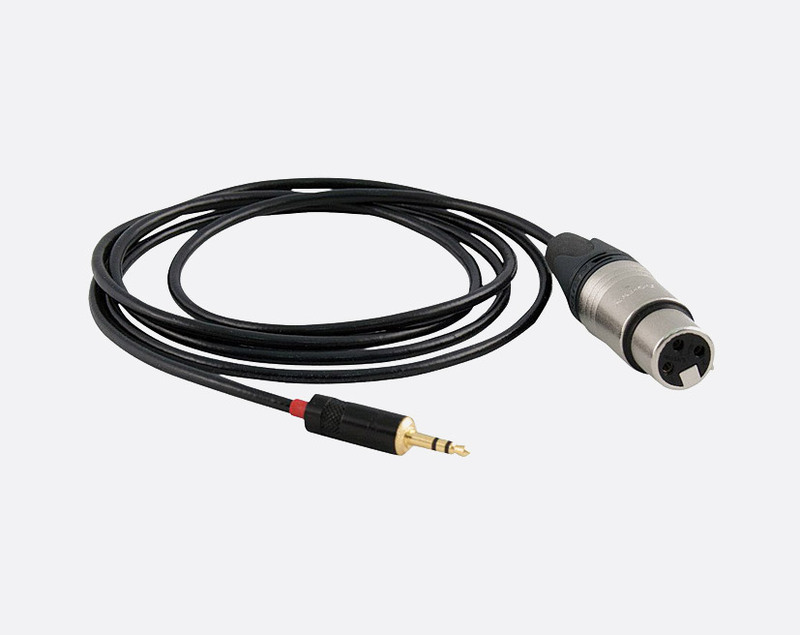 The 3-pin female XLR contains electronic circuitry to provide level and impedance matching and DC blocking. The cable is 1.5m long. The RC 3.5 - 8 is an eight-way cable which provides eight channels of the same functionality and is 3 metres long. It consists of an eight pair multipair cable, broken out into eight tails at each end.